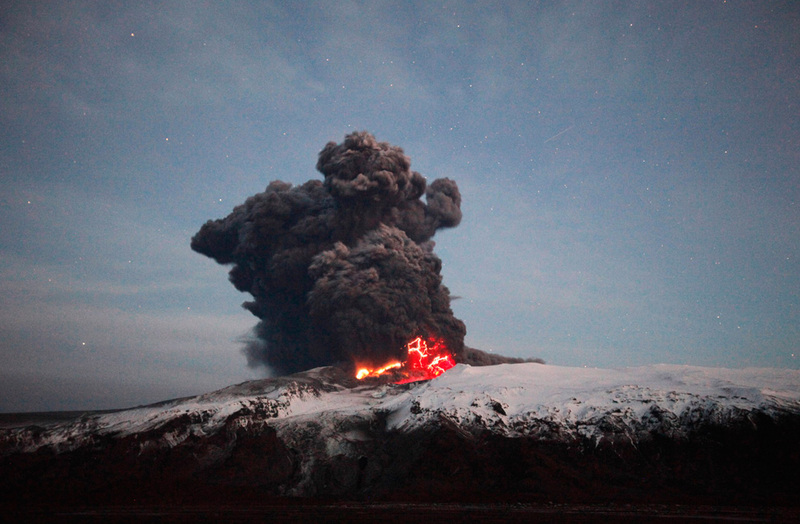 Over the past few weeks, several alert cloudspotters have sent me newspaper clippings and website links to images of the eruption cloud from the Eyjafjallajokull volcano, aka the "Iceland volcano." To see thirty-five breathtaking photographs published in a round-up by the The Boston Globe, click The Big Picture. These pictures paint a thousand words (mostly superlatives) for this mid-April event that sent thick clouds of ash over Europe. Though air traffic was halted for several days, writer Seth Stevenson was inspired to write about the joys of slow travel in Escape from the Jet Age in the New York Times. Even these clouds have a silver lining. For fun: How to Pronounce "Eyjafjallajokull"
In "cloudspotting", "eruption cloud", "iceland volcano"